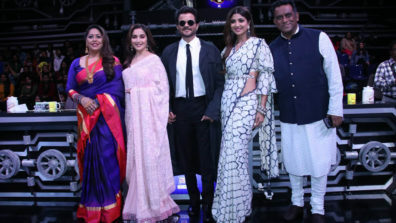 The night of Dance+4 Grand Finale was full of glitz and was a powerhouse of entertainment with biggest celebrities like Anil Kapoor, Madhuri Dixit, and Ritesh Deshmukh gracing the stage. 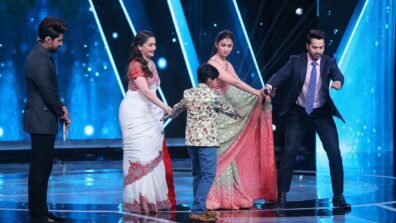 Adding the dose of glamour dancing divas Norah Fatehi and Mouni Roy enthralled the audiences’ with their breath-taking performance along with the Live jugalbandi of veteran singer Kumar Sanu with the four finalists. 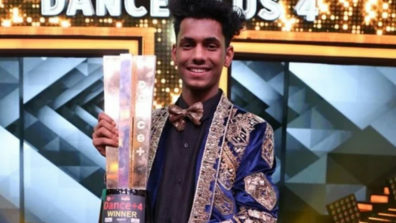 After 18 weeks of hard work, rehearsals and innumerable ‘Clap-worthy’ performances, presenting India with its fourth dancing icon, StarPlus proudly announced its winner of Dance+ season 4 in the Grand Finale on 2nd Feb. 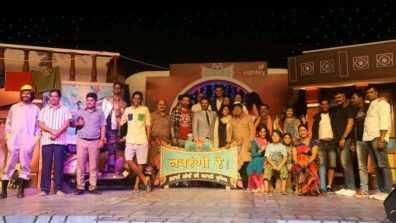 In what turned out to be an intense, nail-biting finish, the Popping Baadshah from Pune Chetan Salunkhe was declared the winner as he won the hearts of millions of viewers along with the captains and superjudge Remo D’souza. Dazzling everyone with his jaw dropping act in the Grand Finale, with the international artist Marquese Scott, the lethal duo took the audience frenzy to an all new level with their extraordinary performance which got them ear deafening applause & appreciation from the celebrities and the judges. He not only clinched the much-coveted golden trophy, but also won prize of Twenty Five lakhs. Having earned the moniker of ‘Popping Badshah’ in Dance+4, the 19 year talented boy proved that the journey to realize your dream is a long and a tough one with innumerable odds at every step but with an indomitable spirit one can surpass anything! A self-taught dancer, Chetan was keen to learn dancing but could not afford owing to his family’s financial constraints, but that did not deter him from pursuing his passion for dancing. Not the one to give it up too easily, he sharpened his dancing skills by watching videos and practicing ceaselessly on his own. 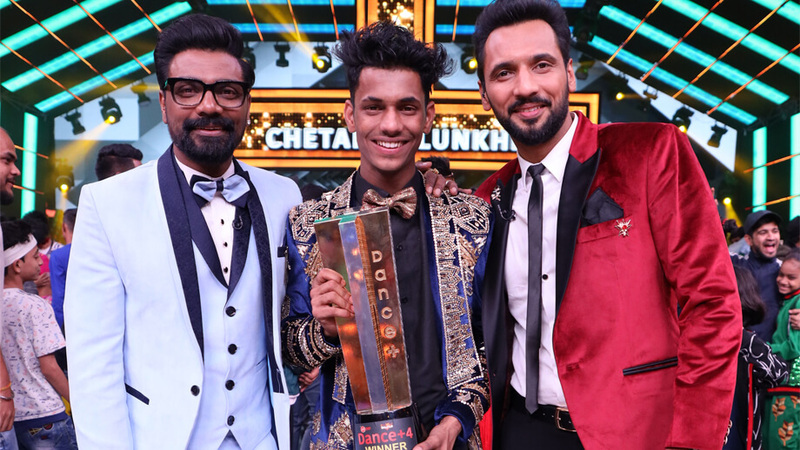 After relentlessly trying from the last three seasons, Chetan didn’t give up and finally got selected in the show this season and since then there has been no looking back for him as he surged ahead in every round and making his way in the Grand Finale and being the winner of Dance+4 with his incredible popping skills. The power house performer set the stage on fire and took the judges by surprise and earned compliments galore with his remarkable performances even as he first set foot on stage in Mumbai auditions. 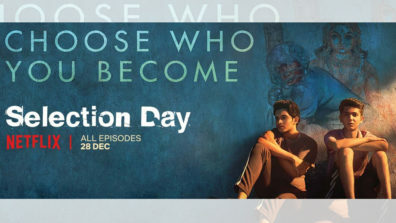 Chetan’s determination to win the show for his parents earned him the title of Shravan Kumar on Dance+4 as he considers his parents as his Plus, who despite their financial struggles, always supported and encouraged him to pursue his passion, capturing the story of the triumph of human spirit against odds. This powerful popper left the celebrities like Madhuri Dixit, Shahrukh Khan, Anil Kapoor, Govinda, Prabhu Deva amazed by presenting an unique rendition of their songs in his popping style! Continuing with his winning spell from the last season and winning again in season 4, captain Punit J Pathak shared, “As a captain, I am proud that Chetan was in my team and has received overwhelming response from everyone alike right from the auditions till he became the winner. His single minded focus & hard work to work on his dancing, technique, performance made him the winner. Chetan accepted all the challenges by pushing himself and had shown remarkable growth in his every performance. 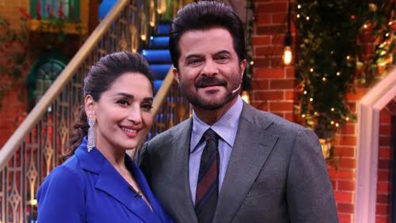 He earned the moniker of Popping Baadshah owing to his unbelievable popping skills ,which proves that his acts struck the right chord amongst the viewers and they could connect to his unique style which is extremely difficult to pull off! He has surpassed all the levels and established himself as the strong contender and finally being the winner of season 4. He has a bright future and will go ahead in life. Dance+ is far beyond just another dance reality show. It turns you into a complete performer. It tests not only the contestants, but also the mentors. It’s an experience in itself, and I consider myself very lucky to be able to associate with a project like this and mentor some spectacular talent in the show. 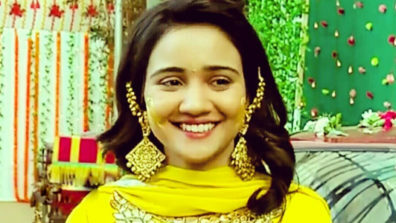 Is Pyaar Ke Papad a remake of Chameli Ki Shaadi?